This model is available as an automated tutorial by selecting Model Examples and Tutorials... > Classic PDE > Vibrations of a Circular Membrane from the File menu. Or alternatively, follow the step-by-step instructions below. Enter 1 into the xradius edit field. Enter 1 into the yradius edit field. Select Dirichlet boundary condition from the Poisson Equation drop-down menu. Enter 0 into the Dirichlet coefficient edit field. Open the Solver Settings dialog box, and select the Eigenvalue solver which per default will try to find the 6 smallest eigenvalues with corresponding eigenvectors. 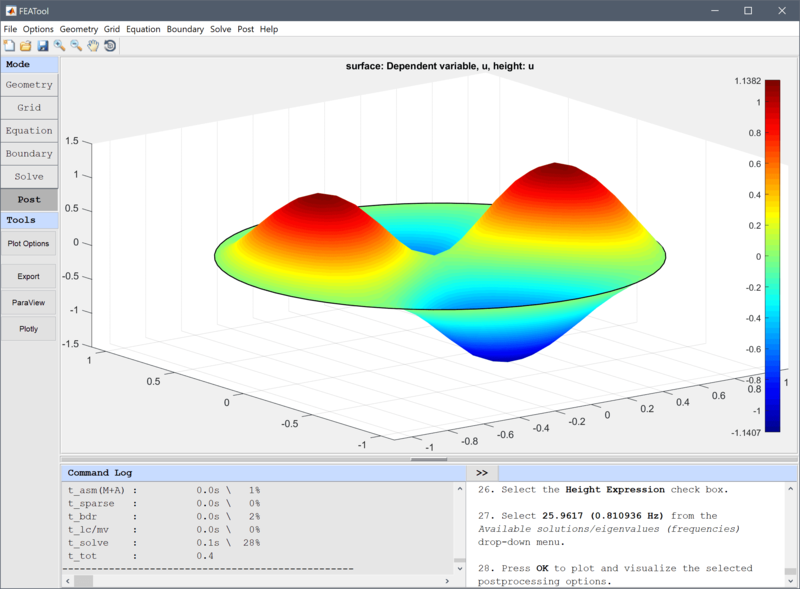 Plot the first, second, and fourth modes and confirm that they feature a corresponding number of peaks and troughs. Select 25.9617 (0.810936 Hz) from the Available solutions/eigenvalues (frequencies) drop-down menu. The frequency of the second and third mode the to first one should be a factor 1.59 times higher, fourth and fifth 2.14, and sixth 2.30. 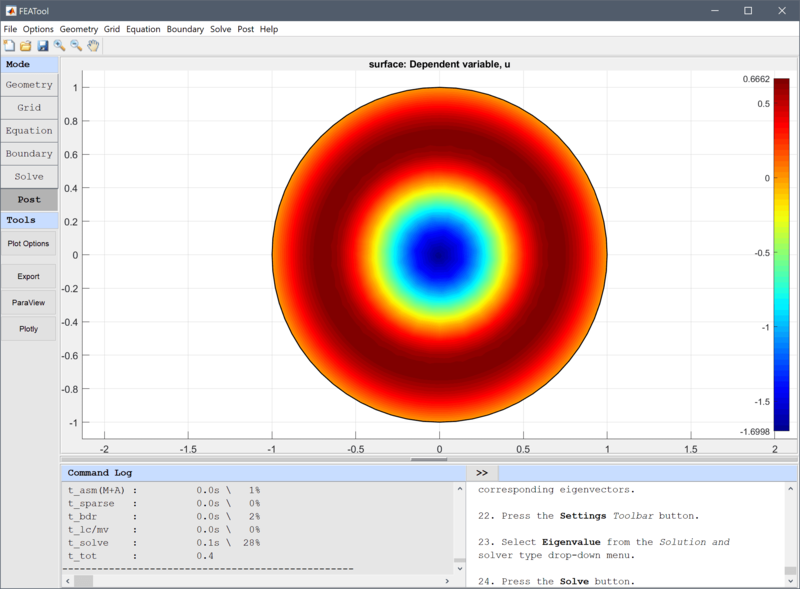 The vibrations of a circular membrane classic pde model has now been completed and can be saved as a binary (.fea) model file, or exported as a programmable MATLAB m-script text file, or GUI script (.fes) file.